Sophistication is redefined by this classic five stone necklace that displays the perfect blend of creative artistry and exceptional quality. It showcases bezel set lab grown diamonds, with a slightly larger center stone, that mesmerize you with their sheer luminance. 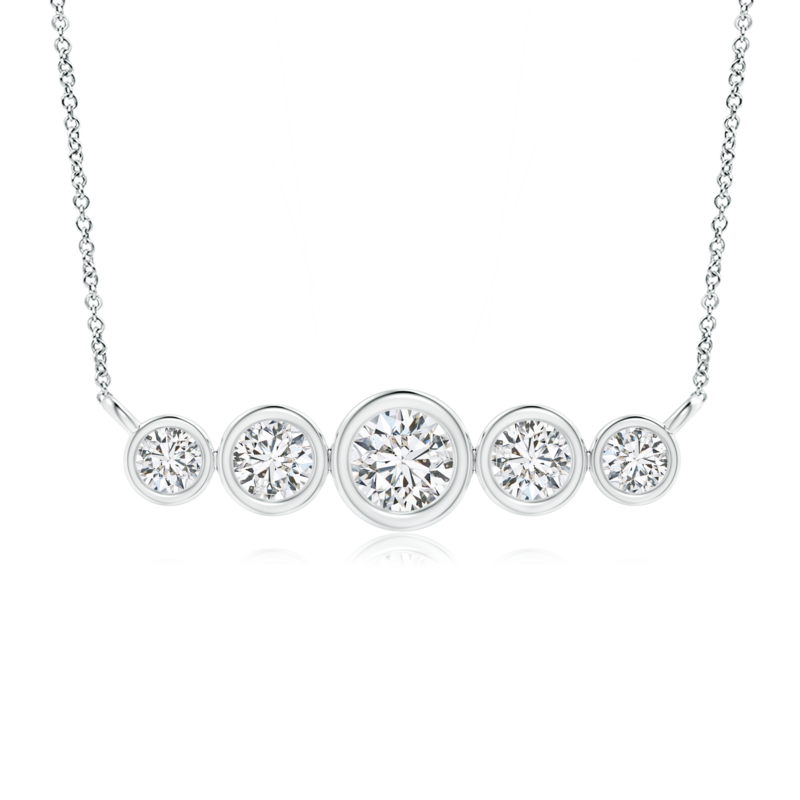 The allure of this diamond necklace is further enhanced by the 14k white gold metal that envelops this fine piece of jewelry with its distinctive glow. A splendid creation, it is sure to win admiration and hearts.